Duolingo should sound familiar to almost everyone reading this. Known as the most popular app for language hobbyists, Duolingo provides a fun, gamified approach to learn over a dozen languages on your mobile — for free. Cons: Not great if you’re serious about getting results. Recommended for hobbyists. Main benefit: The main benefit of using Duolingo is that it’s great if you’re just getting started and want to play around with the basics of the language. FluentU helps you learn languages through video content, categorizing them into different levels. Topics can range from ordering at a restaurant, listening to music, movie quotes, etc. Cons: No ability to practice with a native speaker nor get immediate feedback. Main benefit: Curated video content in one place. Rype has re-defined the traditional language learning model, by applying a Netflix/Spotify model for private language lessons. For less than the price of a coffee per day, you can have unlimited number of one-on-one lessons with a professional coach, including live classes and premium video lessons, to accelerate your skills. Pros: Unlimited one-on-one lessons with a professional coach, live classes, and premium video recordings that you can take at the comforts of your home — anywhere, anytime. Main benefit: The benefit of receiving unlimited one-on-one lessons with a professional coach. It’s like signing up for a gym membership and having full-time access to a professional, personal trainer for the same price. If you have the time and lack the budget to work with a professional teacher, conversation exchanges are worth checking out. They allow you to connect with fellow language lovers, looking to practice their skills online. Cons: Takes a lot of time, patience, and dealing with scheduling problems. Main benefit: Great place to meet like-minded language lovers and to either practice your speaking skills or to simply connect and chat about travel, culture, and languages. When you’re learning a language, memorization is key. Memrise makes the process easier. Using a gamified approach, Memrise has a set of steps you go through in order to memorize your desired words or concepts. Pros: Great for memorization, and can be used as a complementary when you’re working with a professional teacher. Cons: Only good as a complementary tool, not as a complete language learning solution. Main benefit: The biggest benefit is that it’s a free way to help you memorize more concepts faster, not just languages. Rosetta Stone has been around for decades and has faced controversial reviews about its promise and effectiveness by several language experts and journalists. Nevertheless, it’s a popular method that is still being used by many language learners. Pros: Easy to use, can learn at the comforts of your home. Cons: Expensive. Effectiveness of its solution has been reviewed negatively amongst many language experts and bloggers. Main benefit: The main benefit is the ability to learn at home. BBC Languages came up with a new section of their website to provide language learning content focused on 8-10 main languages, and more. It contains video tutorials and written content to guide you through the basics of your target language. Cons: Great as a starter, but it can only take you so far without practicing what you’ve learned with a native speaker. Main benefit: The main benefit is that it’s free and a great place to start for someone looking to learn a new language. Busuu sits in a similar category as Duolingo and the other free mobile apps out there. It provides a simple, yet interactive method of learning, and can be a useful way to learn basic words and vocabulary for language hobbyists. Main benefit: Great for getting familiar with the basics of the language. Babbel provides a slightly more personalized approach, compared to Duolingo and Busuu, as they have different levels for beginners and intermediates, while understanding what demographic you fit in. At the end of the day, it is a do-it-yourself approach, and unless you’re 100% motivated to using the service on a daily basis, it may be difficult to keep yourself accountable. Cons: Do it yourself mode. Lack of accountability. Main benefit: The main benefit is the ability to learn and review your target language easily on-the-go, or at the comforts of your home. Fluentin3months is not necessarily a language solution, but rather a destination created by Benny Lewis. It contains forums, articles, reviews, courses, and a book that you can learn from. What this really comes down to is counting on the expertise of the author, Benny, who is a polyglot fluent in seven languages. Pros: Benny has a great track record of providing unbiased, research-backed information. Cons: You can’t necessarily work with Benny, but rather have to learn from his strategy on your own. 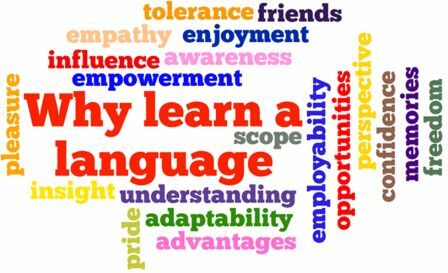 Main benefit: Learn from an expert who has achieved significant results in acquiring languages fluently. Livemocha, which was acquired by Rosetta Stone, provides online language courses and has an avid language learning community. The company claims to have a methodology for learning a language, but it’s hard to know of course if it really works. Cons: No ability to speak with a native speaker and seems to focus on upselling to Rosetta Stone. Main benefit: Great for dipping your feet into the pool and enrolling into some free content. The Foreign Services Institute features extensive text and audio resources for more than 45 languages. Designed by professional linguists for the U.S. government, these free materials are of premium quality, created with the aim of aiding users gain fluency, as it’s organized into several different lessons. Main benefit: Focuses on many languages (up to 45), and even targets languages that are not as popular, such as Romanian, Igbo, Serbo-Croatian, and many more. The Polyglot Club is essentially Meetup for Language learners. It allows you to meet people online and offline around the world to practice speaking your target language or to simply chat online. Pros: Free, simple to use. Cons: Finding the time, patience, and scheduling coordination to actually meet up or commit to practicing with someone else. Main benefit: Surrounding yourself with a community of fellow language learners is key, and this website is a great place to start. LingQ is focused on the text-based approach for learning a language. In summary, it’s a digital flashcard for learning languages. While this can provide some value, it may not be a good fit for visual learners (use Memrise instead). Cons: $120/year and similar open-sourced solutions are available here for free. Main benefit: Targeted at people who like learning through solely text, not visual or audio. Cons: Unfiltered advice from individuals who have no proven track record of educating others in language learning. Main benefit: The main benefit is to get an overall scope of how others are learning languages, what resources they’ve tried, and what worked & what didn’t. You listen to the word or sentence and record yourself pronouncing it. You then compare your pronunciation to the native pronunciation. Once you know how to pronounce the word, the app shows you a word or sentence and asks you to guess its translation. If you guessed right, you click “correct”, if not you click “incorrect”. The app then shows you an English word or sentence and asks you to write the translation. Finally, you see the English translation and evaluate how well you know the associated word or sentence. Cons: Limited in scope, and doesn’t help in improving your speaking skills or other facets required to learn a language. Main benefit: Memorizing words in your target language. Pimsleur is an audio-based language program that is taught by native speakers, which means you can hear native accents and pronounciations. It’s a story-based learning system (although it sounds fake), can be a good way to understand how native speakers talk. Pros: Good for repetition, taught by native speakers. Cons: Irrelevant context. It seems far too professional, and many of the materials taught cannot be used in everyday conversations, making it seem too formal. Main benefit: The main benefit is the emphasis on audio and pronounciation. There’s no best solution that will fit everything you’re looking for. What you’ll need to do from here is to evaluate your goals, and understand what your desires are. Do you lack the basics of memorizing the most common words? Try Memrise or LingQ. Are you just looking to play around with the language for fun? Try Duolingo or Busuu. Do you want to be able to become a fluent speaker and work with a private coach? Try Rype. Whichever methods you try, just make sure it aligns with your goals, and that alone will help you find the right solution for you.